“A mother is not a person to lean on but a person to make leaning unnecessary.” — Dorothy Canfield Fisher. A few things about Dorothy Canfield Fisher. She was not named after the Vermont State Children’s Literature Award; the Award was named after her. Her mother’s name, spectacularly, was Flavia Camp. A name you’d expect to come across in a Roald Dahl novel. Miss Flavia Camp! I was taken by this photograph. I love a mess of hair as a matter of personal policy. A handsome woman, strong featured. You can sense the mental toughness, the pioneer stock. Dorothy Canfield Fisher (January 6, 1878 – July 22, 1967) was an educational reformer, social activist, and bestselling American author in the early decades of the Twentieth century. She was named by Eleanor Roosevelt one of the ten most influential women in the United States. Dorothy Canfield brought the Montessori method of child rearing to the United States, presided over the country’s first adult education program, and shaped literary tastes by serving as a member of the Book-of-the-Month Club selection committee from 1925 to 1951. Her best-known work today is probably Understood Betsy, a children’s book about a little orphaned girl who is sent to live with her cousins in Vermont. Though the book can be read purely for pleasure, it also describes a schoolhouse which is run much in the style of the Montessori method, for which Canfield was one of the first and most vocal advocates. 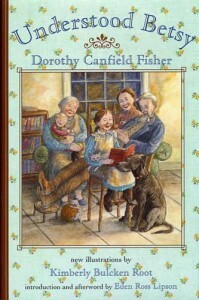 The Dorothy Canfield Fisher Children’s Book Award, named after her, is a unique award for new American children’s books, as the winner is chosen by the vote of child readers. 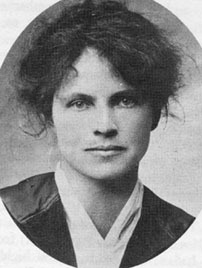 Anyway, why all the hub-bub about Dorothy Canfield Fisher? I’m happy to announce that my book, Bystander, was named to the 2010-2011 DCF Children’s Book Award Master List. First given in 1957, the Dorothy Canfield Fisher Children’s Book Award has honored quality literature for children for 50 years now. Each spring, a committee of eight carefully selects 30 books to comprise the DCF Master List. After reading at least 5 books from the list, students then vote for their favorite titles the following spring. The winning author is invited to visit Vermont to speak with children about the experience of writing such fine literature for such fine people. For a gander at an Annotated Master List, including all 30 titles, click here and explore. A lot of good books on there.